In order to continue to provide our patients with superior care, we provide generous continuing education benefits to our staff. By providing the latest research and information through continuing education and to demonstrate this commitment to both our patients and referring physicians, we have partnered with Focus on Therapeutic Outcomes, Inc. (FOTO®) to measure functional patient outcomes and patient satisfaction with national data comparison. We encourage all employees to develop new skills and competencies through continuing education, which includes classes, seminars, certifications, and employee training. Athletico works with the Midwest’s and Southwest’s top physicians and health care providers to deliver these in-house continuing educational experiences to help our clinicians meet the credit requirements needed to maintain licensure as well as to be lifelong learners. Regional Athletico University Lectures provide exceptional learning opportunities for our employees and the ability to develop relationships with referral sources. This is a unique opportunity that allows our healthcare providers to build their medical network and develop new relationships with physicians and members of the medical community. By bringing clinical education courses in-house, fees are significantly less. As a result, our clinicians are able to attend more courses annually allowing CEU funds to go further. Athletico brings 40-50 weekend intensive courses in-house on an annual basis. Athletico University provides more than 600 CEU hours per year. Introduction to the Women’s and Men’s Health Program (Missouri) (FREE – no charge to CEU bank) This course is for clinicians who are interested in treating the unique issues realting to women’s and men’s health and those who are already members of the program. The course will serve as an introduction to the women’s and men’s health program structure, outline the clinical education track in order to become a member of the program, and introduce pelvic floor anatomy and conditions that are treated by the program. The second half of this program will explore sensory retraining of the colon and tratment specific to the male pelvic floor. Women’s Health Prep Course (FREE – no charge to CEU bank) An Introduction to the Athletico Women’s Health program including program organization, recommended coursework, an overview of pelvic core dysfunction, patient populations for both men’s and women’s health, and common diagnoses. An introduction to our functional approach including anatomy, evaluation, local and global movement systems and 6 vital transformational zones. Introduce beginning treatment and movement assessment. Hip Preservation Team Prep Course*(FREE – no charge to CEU bank) One third of the class will be lecture (reviewing subjective evaluation, objective examination, various hip conditions). Two thirds of the class will be lab (exercise progression, manual therapy techniques). Adhesive capsulitis, RTC tendonitis, Impingement, instability, RTC repair, Bankart repair, and SLAP repairs. VGA Training Course (FREE – no charge to CEU Bank)* The VGA competency course will consist of a review of the updated VGA manual including documenting, coding, marketing and scheduling. The lab portion of the class will go step by step through set up, taping, cutting, and analyzing video using Kinovea. This information will be transferred to the VGA Report Card and a plan/home exercise program will be developed. Concussion Education and Management in Gymnasts and Cheerleaders (FREE – no charge to CEU bank) More information regarding the topics and speakers will be availalbe in the month prior to the course. Gray Institute It’s All About the Base! Female Health and Female Biomechanics (FREE – no charge to CEU bank) The Female Biomechanics are important to understand when treating the Female patient. This course will define the difference between the unique Female biomechanics as compared to the male biomechanics. We will also explore normal function of the Pelvic Core Neuromuscular System as compared to common dysfuncations that may be present. Functional evaluation, treatment strategies and exercise prescription will also be presented. Physical Therapy Treatment for the Breast Oncology Patient The therapist will have a basic understanding of diagnostic tests, medical and surgical interventions to provide appropriate and optimal therapeutic interventions for breast cancer patients. The therapist will understand signs and symptoms of breast cancers to serve as early interventionists as well as provide education regarding prevention and wellness. Recent Advances in the Evaluation and Treatment of the Shoulder & Elbow This course is designed to present to the clinician the most recent and state of the art information in the evaluation and treatment of selected shoulder disorders and elbow lesions utilizing evidence based medicine. The course was developed to provide the clinician with the most pertinent information regarding the rehabilitation of these pathologies. 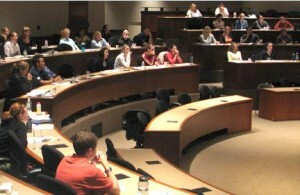 Through lecture presentations, hands-on laboratory sessions, open discussions and problem solving of patient case studies, the attendee will have an opportunity to master new and effective evaluation and treatment techniques. The course will allow for adequate time for open discussion, case presentations & an evidence based approach to physical therapy. Gymnastics and Cheer Prep Course (FREE – no charge to CEU bank) Topics to include an introduction to the Gymnastics an Cheering Program, terminology review, beginning to advanced exercise discussion and practice, education on how to build your network and increase referrals, and discussion on rehab protocols for common gymnastics injuries.